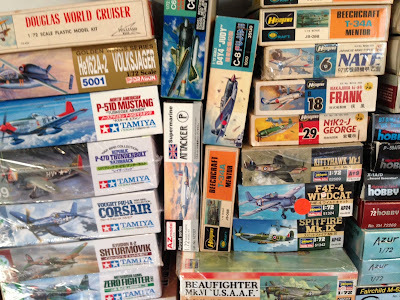 A recurring subject of conversation on the discussion forums and Facebook groups is the exorbitant prices we often see on Amazon for models and books in particular. I wrote about those crazy Amazon prices some time ago, and now we’re seeing algorithmic pricing on eBay. There are many companies offer software that allows eBay sellers to monitor product pricing across eBay and Amazon and adjust the prices of the seller’s items automatically. 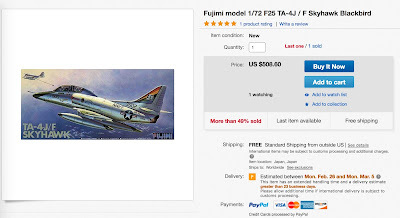 I’d noticed some unusually high-priced models on eBay recently, but when I saw this one, a Fujimi 1/72 TA-4J for over $500, I had to dig a little deeper. "Hi. Is this price correct? It seems very expensive." I can’t help but feel a little sorry for the seller. They’re paying for algorithmic pricing software but being poorly served by it. A quick search of completed eBay listings finds the same kit having sold recently for $31 and $36, with others going unsold for $29 and $30. Clearly, this model isn’t as pricey as the software believes. I could see the software suggesting a price of maybe $50, but $500 suggests to me it’s missing the mark, by a lot. Everybody knows that no one is going to pay $500 for that Skyhawk; well, everyone except the seller it would seem. Seeing the listing provides an interesting view into the world of eBay and Amazon sellers. I wonder how much revenue they’re missing by relying too heavily on technology. 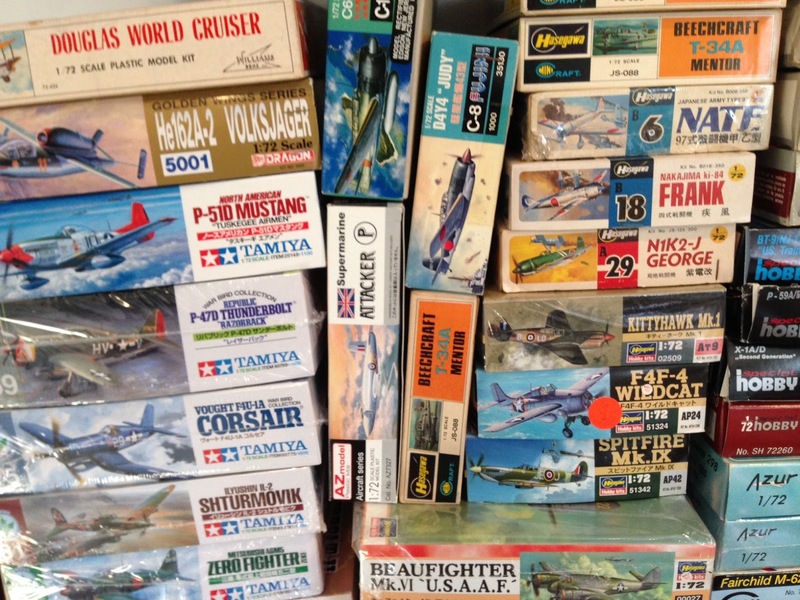 BTW, if you get a big tax refund in the next couple of months and intend to lay down $500 for the Skyhawk, I have one in my stash that I’ll let go for just $300.